After teasing fans with the teaser, the makers of Kalank have finally released the much-awaited title track of the film. The song features Varun Dhawan, Alia Bhatt, Aditya Roy Kapur, and Sonakshi Sinha. After teasing fans with the teaser, the makers of Kalank have finally released the much-awaited title track of the film. The song features Varun Dhawan, Alia Bhatt, Aditya Roy Kapur, and Sonakshi Sinha. The highlight of the song is the beautiful chemistry between Alia-Varun and Sonakshi-Aditya. Not only this, but it also features visuals where Zafar (Varun) and Satya (Sonakshi) celebrate their respective festivals. The song also hints at their relationship and its outcome. The song is composed by Pritam and lyrics are penned down by Amitabh Bhattarcharya. The track has been beautifully crooned by Arijit Singh. Actor Kunal Kemmu can also be seen in the song. This is the third song from the film and we are sure it will also rock the chartbusters. The other songs from the film are Ghar More Pardesiya and First Class that are topping the charts already. The period drama is set in 1945, a pre-independence era which narrates the story of eternal love. 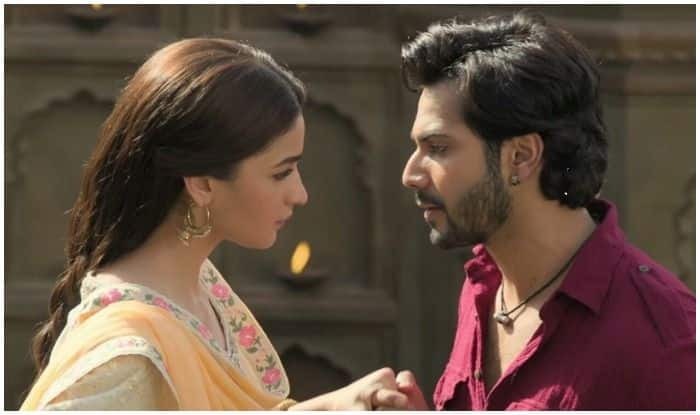 Featuring Alia Bhatt as the royal Roop and Varun Dhawan as the handsome blacksmith Zafar, teaser hints at a love story marred by both the religious and class differences. Apart from Alia and Varun, the film also features Sanjay Dutt as Balraj Chaudhary, Madhuri Dixit as Bahaar Begum, Aditya Roy Kapur as Dev Chaudhary and Sonakshi Sinha as Satya Chaudhary in important roles. Directed by Abhishek Varman, the film is slated to release on April 17.